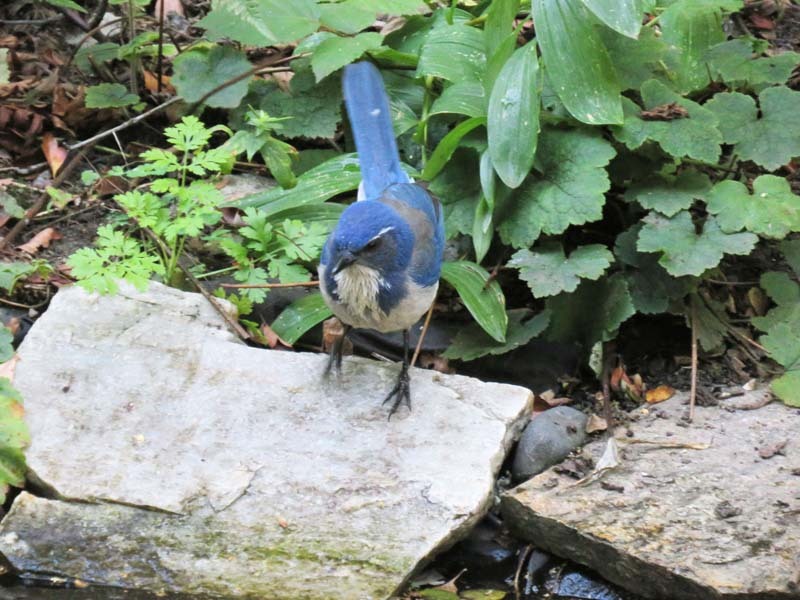 In a moment of bravado I paraphrased a song and wrote, “The Creek goes on forever and the party never ends.” Butyl Creek that is, the recirculating creek in our backyard. Well, the party is still on for now. 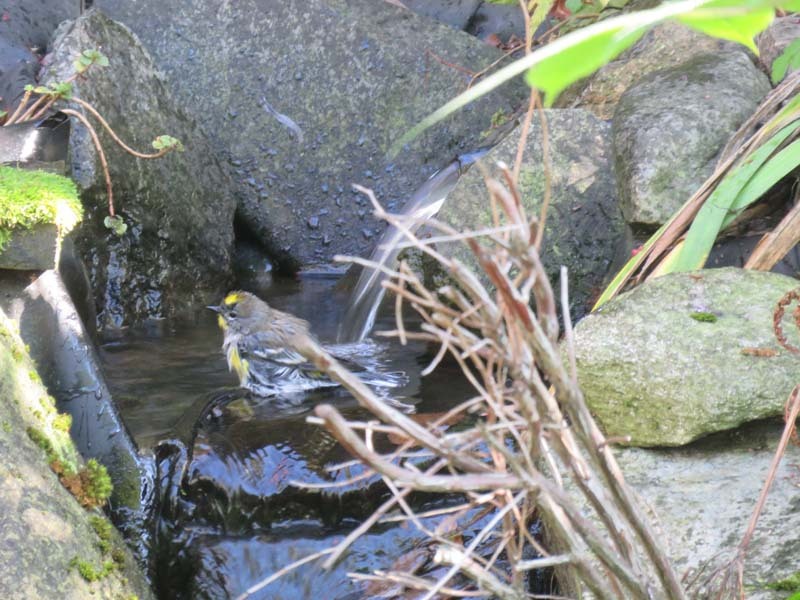 We had one moment in November when 5 Golden-crowned Kinglets were bathing in the creek at once, and Goldfinches have been showing up, we are always happy to have Goldfinches. 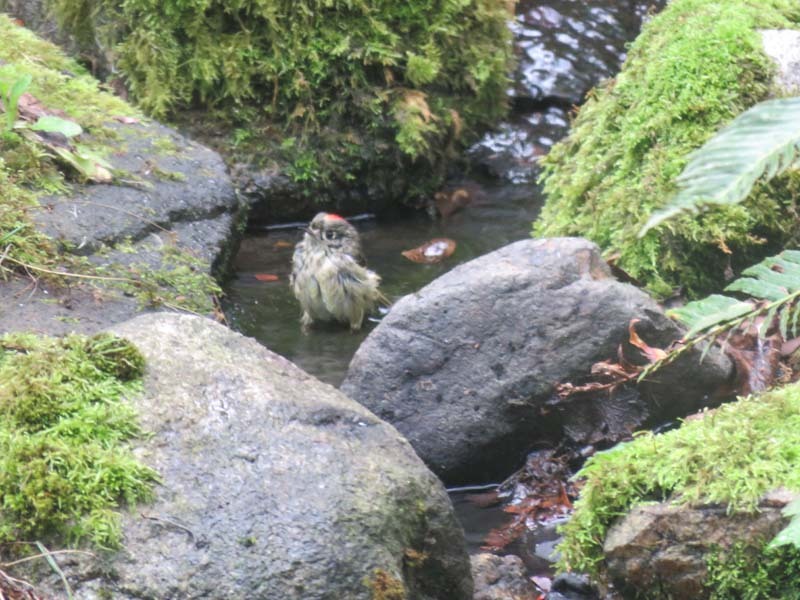 Above a male Golden-crowned is extending his crest, which they do when bathing. 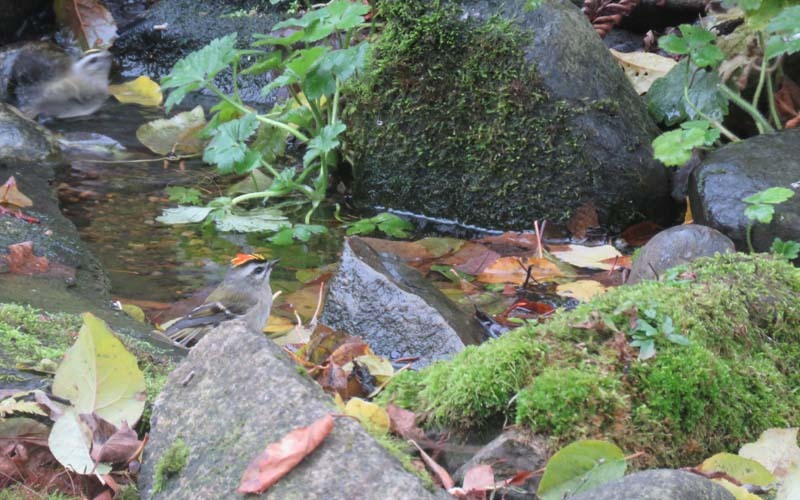 A bird that is very similar in Europe is called a “Firecrest.” The word kinglet, after all, means “little king.” All these names are deserved. Note the female at the far end of the shot. 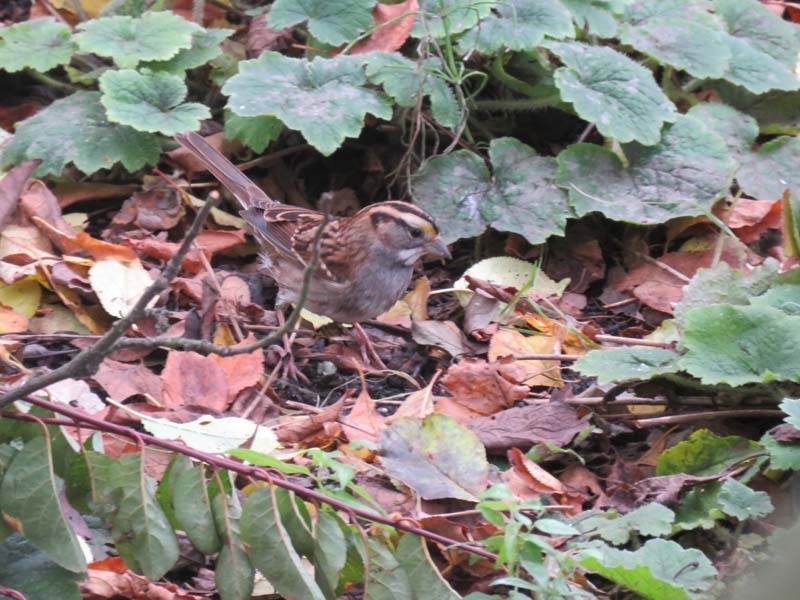 Two White-throated Sparrows have been showing up in our backyard. This is the most common winter sparrow back east but not so easy to find around here. 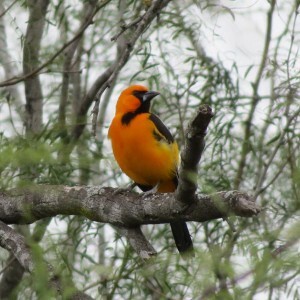 What a great looking bird. 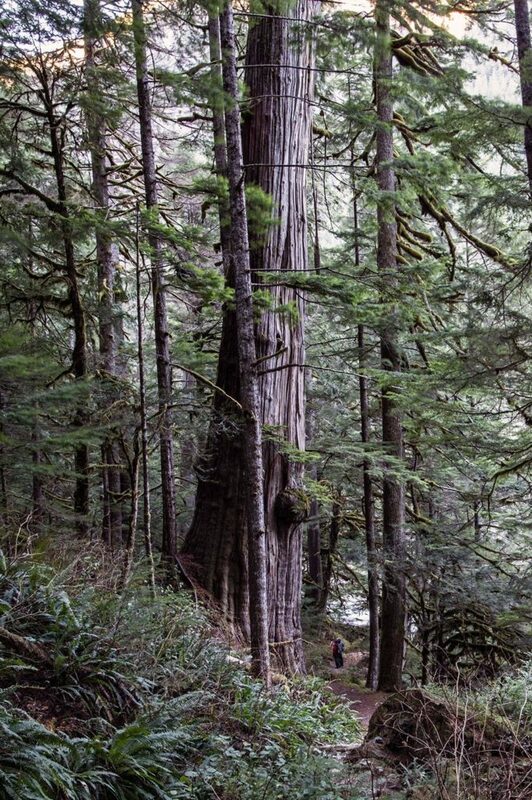 We were over in Union Bay Natural Area by the UW the other weekend. 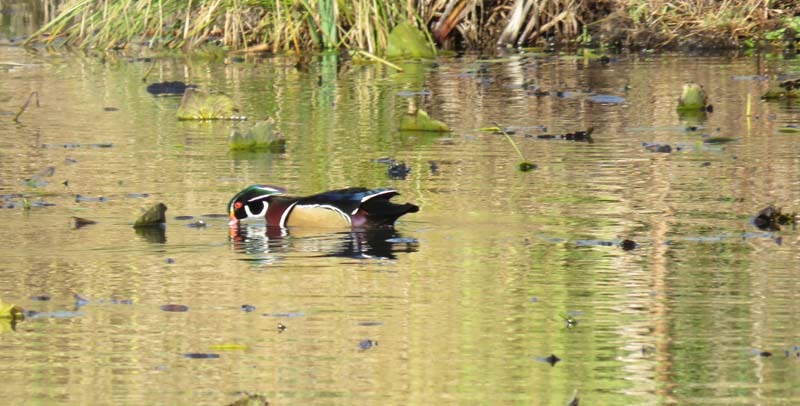 In the main pond were a lot of ducks, mainly Hooded Mergansers, but a pair of Wood Ducks were there also, and this was my only shot that was barely in focus and it also wins my “Best pose by a Duck” contest for fall 2018 so far. 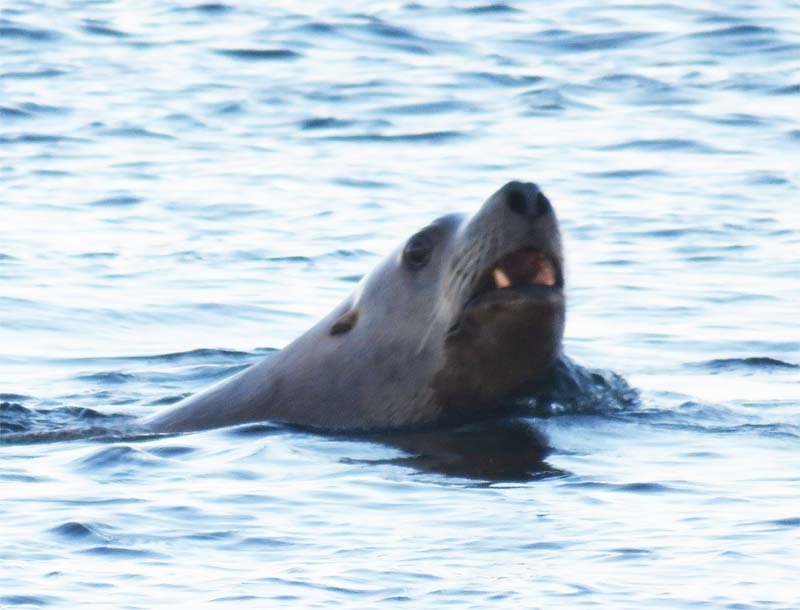 Meanwhile the off-leash dog problem is getting really out of hand… Oh wait, that’s a bull Steller’s Sea Lion at Point No Point. I understand they can weigh up to 2000 lbs. Here below is a shot by Rick Droker. Notice the detail, you won’t see that in my shots. Rick and Sharon and Delia and I were up the on the Middle Fork Snoqualmie. We were happy to see about 12 Varied Thrush up there and Red Crossbills. This is not Butyl Creek. 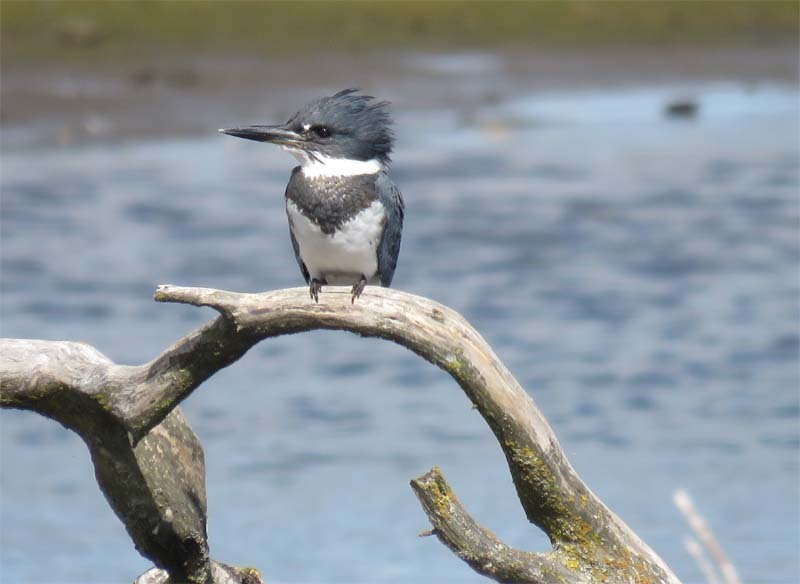 A male Belted Kingfisher at the mouth of the Cedar River in Renton, WA. Here’s hoping there will be more shots as the winter progresses, but not because every day is sunny.